In 2010 DreamWorks released the animated movie “How to Train Your Dragon,” and it was quite a success at the box office. This was the first move to use the new DreamWorks animation technology. The storyline was nothing special. The son of the Vikings called Hiccup befriends a dragon, and later shows his people that dragons and humans can coexist in harmony. This “How to Train Your Dragon” Wii review will outline all of the best features of the game, and also the areas the game creators could have worked on a little more. The plot behind the “How to Train your Dragon” Wii game is simple. The game player hs the ability to either choose to play as Hiccup or Astrid who is a Viking girl. The first thing to do in the game is to obtain or collect dragons, and there are quite a number of them available. The wii game has been created with features to change your dragon’s appearance. Your dragon can vary by its wings, head, or tail as all the features to be customized. There are also status bars for your dragon to watch out for- areas such as the dragon’s health or food. After the dragons have been collected, they will need to be trained. Training involves a number of various small tasks or games needing to be completed. It is best to carry out the proper training on your dragon, as these skills are necessary for the dragon during battle. After the dragon has been trained, it is qualified to fight in the dragon tournaments. The fun aspect of the game starts once the dragon has successfully learned the necessary skills. Your dragon can be placed in combat with other dragons. The dragon can spew fire and the game player has the choice of a light or heavy attacks to the other dragon. Using the different skills for your dragon, each of their abilities such as spewing fire or jumping will be essential for different maneuvers when fighting other dragons. 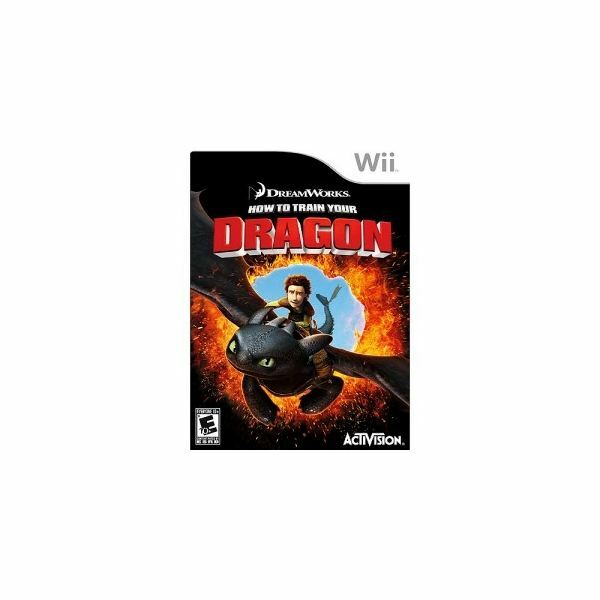 Based on this “How To Train your Dragon” Wii review it was possible to see that a lot more could have been done to expand the storyline of the movie within the game. There is a small amount of roleplay and adventure. The animation is cleverly done as in the movie, but the dialogue and sound is simplistic, and this hurts the gaming experience. Based on this, the wii game is much more suited for completely dedicated fans and younger players who are able to look past the faults within the game and just have fun playing.